Left-handedness — sometimes called “sinistrality” — means you prefer to use your left hand rather than your right hand for routine activities, such as writing. Most people who have studied left-handedness believe that approximately 10 percent of the people in the world are left-handed. Experts believe this percentage has remained fairly consistent throughout time. Historically, the left side and left-handedness have been considered a negative thing by many cultures. 1. 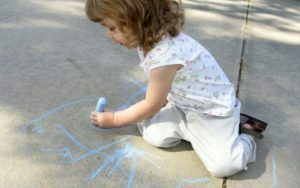 In your society / culture, what is the common impression or beliefs about left-handed persons? 2. What connotations of the words “left” and “right” are you aware of? a. In sports – what is southpaw? b. In politics – who are the rightist? leftist? 3. Ambidexterity is the state of being able to use both hands. Only 1% of us are naturally ambidextrous. Did you know? Using your opposite or non-dominant hand can grow brain cells.